In the past, I treated Paris like a standard item that needs to be checked in my (not-so) bucket list just so I could say I truly lived. Everyone says you need to go to Europe. All the movies I've watched romanticized the idea of Paris, the fashion, the culture, the people - the food! Ask every millenial where they'd want to go to, if they had a chance, and there's a 75.99% possibility that they'd include Paris in that list. Save your money. One day, it'll save you. 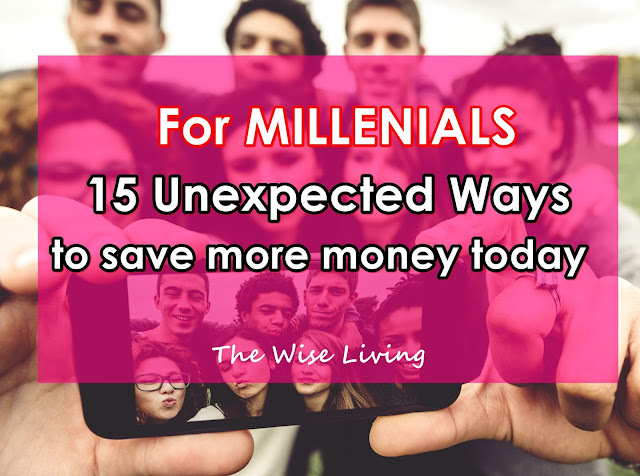 Tired of personal finance tips that advise you to save money, without actually telling you how to save money in the first place? A few years ago, I never thought I’d become a financial advisor. I’m an introvert with no experience in sales – how could I join this career? But then last 2012, something devastating happened to our family. My lolo suffered his 2nd heart attack and still insisted to be taken to a public hospital far away from our house just because he didn’t want us to spend a lot of money. 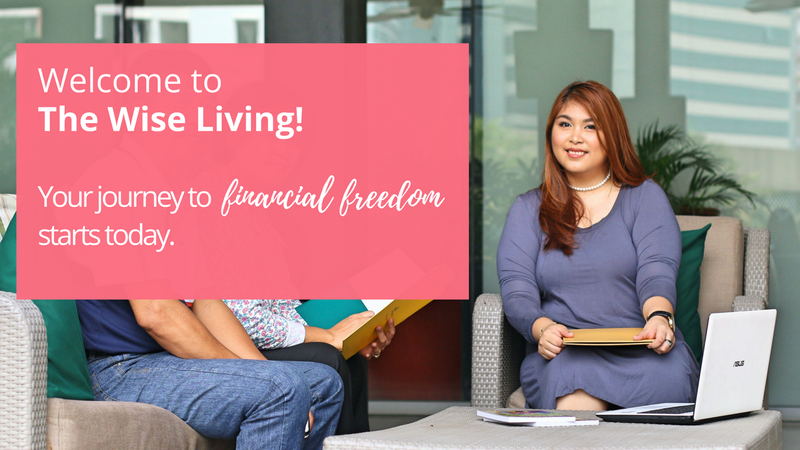 And even though I was already working and earning money, I didn’t have the confidence to tell him, “Ok lang yan, ako na po bahala magbayad…” because even though I had an income, I didn’t manage it properly so I didn’t have any savings of my own! 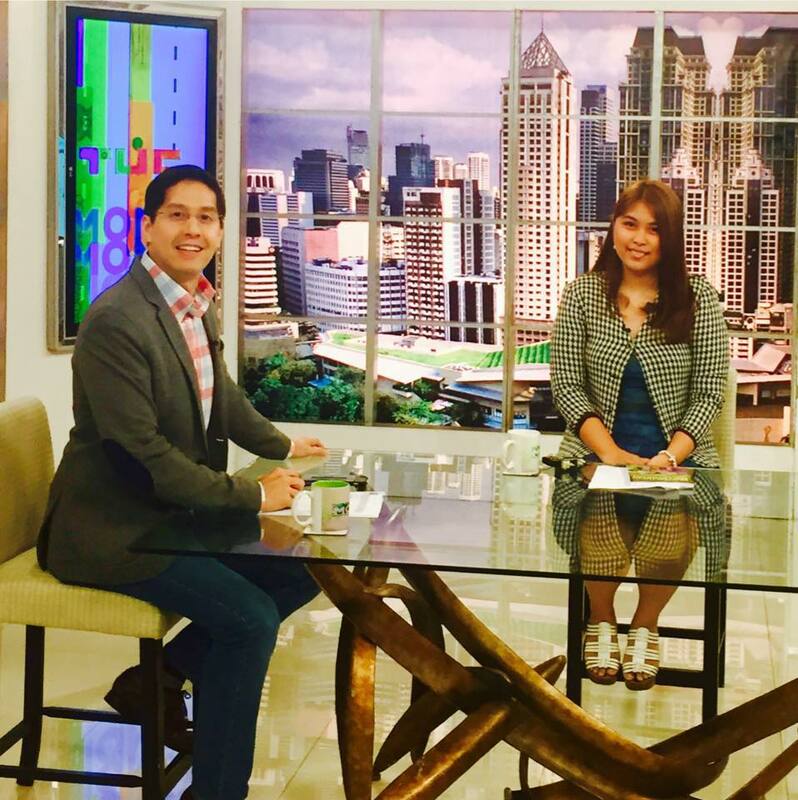 It wasn’t until my lolo Tatang passed away that I realize something: I wanted to be a financial advisor because I’m passionate to share my story to other Filipinos. It was a heart-breaking experience. I don’t want you to experience the same thing. Then YOU may also be interested about how to be a financial advisor, don’t you think? Ready to be a financial advisor and change people’s lives for the better? Email me your updated CV/resume at liannemarthamlaroya@gmail.com or add me on Facebook at https://www.facebook.com/LianneMarthaLaroya today. 1. You want Time Freedom. You’ll work, yes, but you can also enjoy more time with your families. When you become a financial advisor, you DON’T need to go to the office from 8 am – 5 pm. You work at your own time. Have children you’d love to spend more time bonding with? Wouldn’t it be nice if you can make them breakfast and help them with their homework, too? You can do this when you become a financial advisor. My friend who’s a single mother and also an amazing financial advisor works from 7 am – 2 pm only. 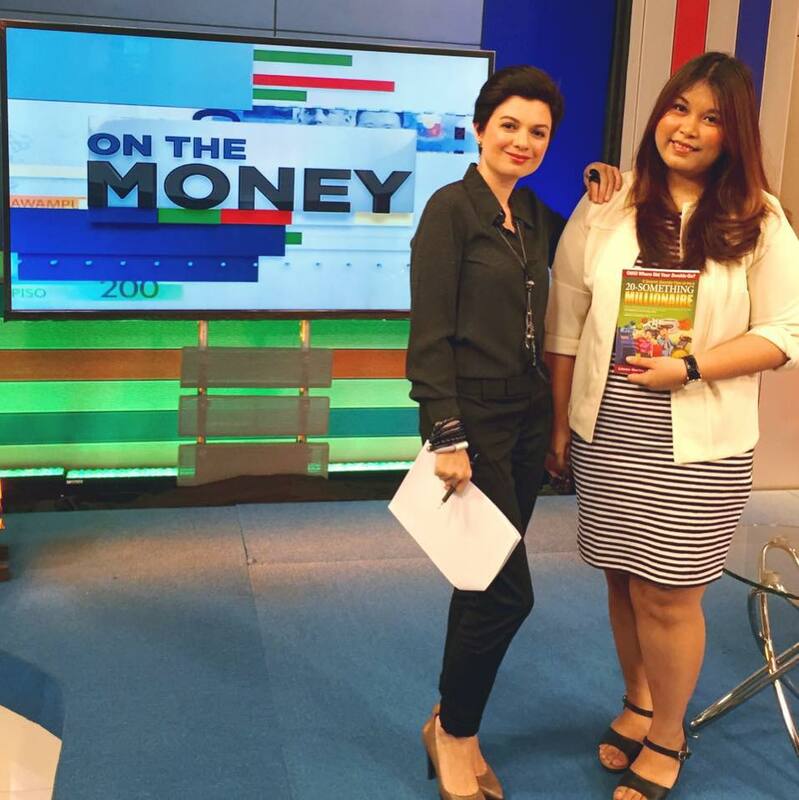 She gets to help Filipino families improve their financial lives and she still has time to pick up her son from school everyday. Have aging parents you’d love to take care of? Or do you have a spouse/life partner you’d love to enjoy life with together more? What if you want to go to Japan for your honeymoon? 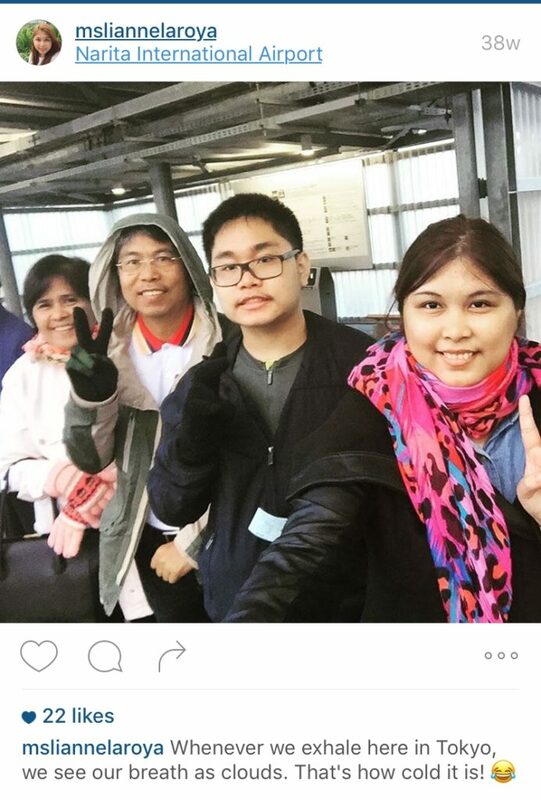 Or you want to go to South Korea to celebrate your father’s 60th birthday? You don’t need to file for leaves. Just manage your own working time properly. Whether you work from 6 am – 12 noon, or 3 pm – 9 pm, or 8 am – 1 pm or whatever other working schedule you’d like, it’s all up to you. 2. You want Location Freedom. When you become a financial advisor, it’s like a mini-adventure everyday. 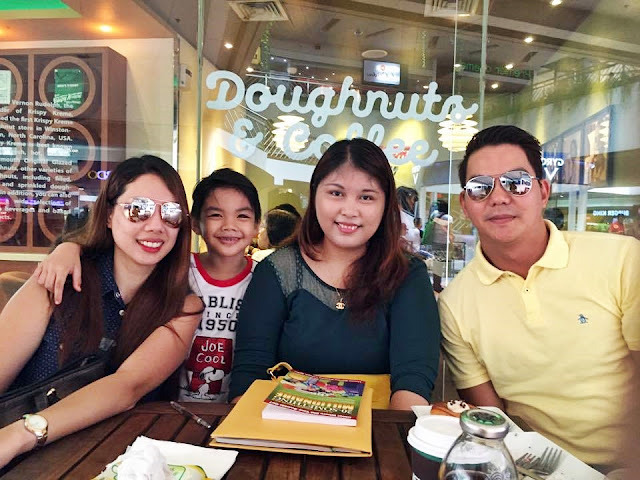 One day, you may be meeting your clients at a coffee shop in Ortigas City. The next day, you may be meeting clients at their offices all throughout BGC Taguig City. Or maybe next week you’ll meet your client at their home based in Laguna. Or what if next week you choose not to work for three days? It’s all possible. You can dictate where you want to work. 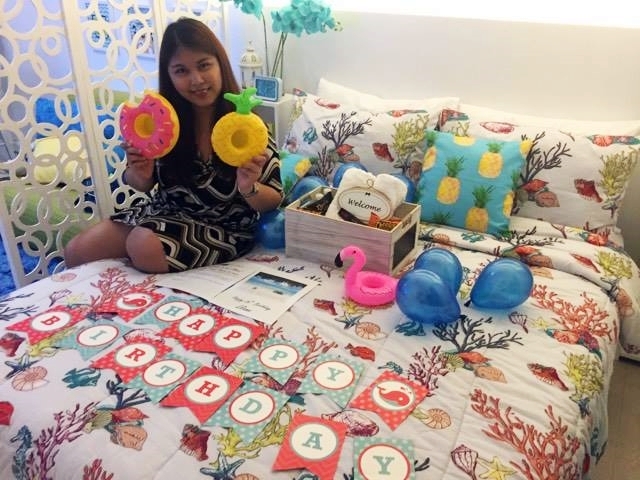 Just last June, my family and I went to Tagaytay to have a staycation for my birthday. At the same time, I met with two of my clients based in Tagaytay so I can service them personally. That’s working hard and playing hard – at your own time and at your chosen place! 3. You want to improve the lives of your family and friends. 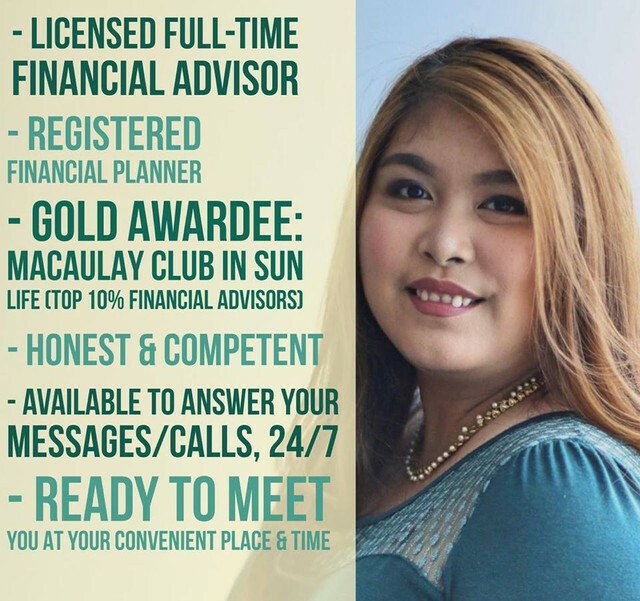 Aside from choosing when to work and where to work, I’m sure you’re interested to be a financial advisor because you want to secure a better and brighter future for your family, your relatives and of course, your friends, right? As a financial advisor, you can make a positive difference in the lives of your friends and families. After all, you’re teaching them to how secure their income and invest their hard-earned money for college fund of their kids or for their own retirement fund in the future! You’re there to help them and their families, in sickness, in disabilities and even during, God forbid, death. Being a financial advisor is a career that you can be proud of. Through this, you get to give practical and doable financial advice that your clients can use to manage their income properly. You get to help families achieve the brighter life that they desire – it’s a noble profession! 4. You want unlimited income. When you become a financial advisor and join my team, you write your own pay check. There is no limit on how much you can earn because you’ll receive fair compensation for all your hard work – and only you can dictate how much money you’ll receive in your bank account every 15 days. 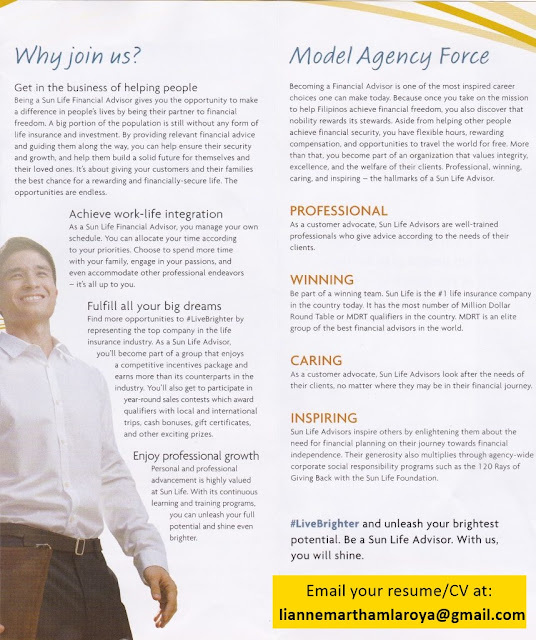 Because of Sun Life, being a financial advisor helps me send my brother to college, purchase multiple lands in our province, start several life insurance and investment accounts, buy my first car (this 2017!) and travel to local and overseas destinations with my loved ones. 5. 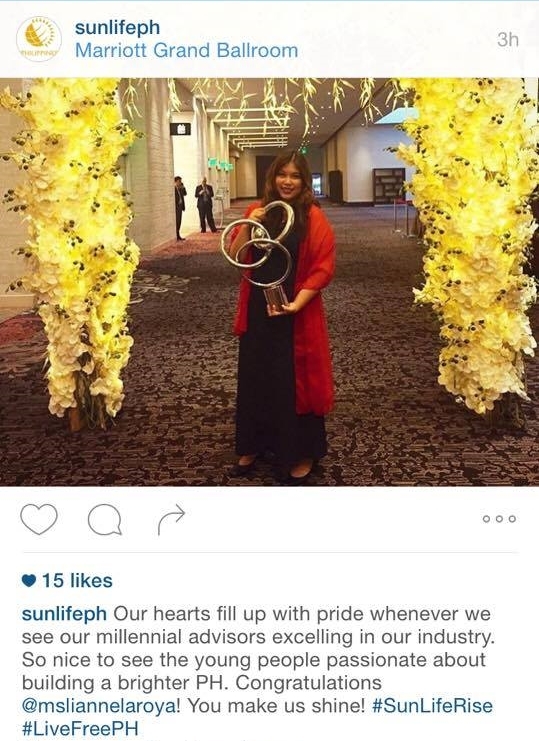 You love getting awards and being recognized for your hard work. If you’re driven to succeed and you’re passionate in receiving recognition for all the meaningful work that you do, then you deserve to be a financial advisor. 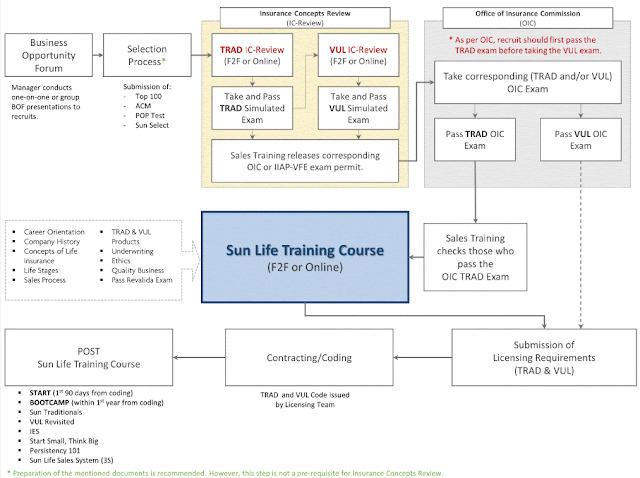 Since Sun Life is committed to helping you become the best financial advisor you could be, you can attend Sun Life’s free training sessions regularly – you’re learning and earning at the same time. 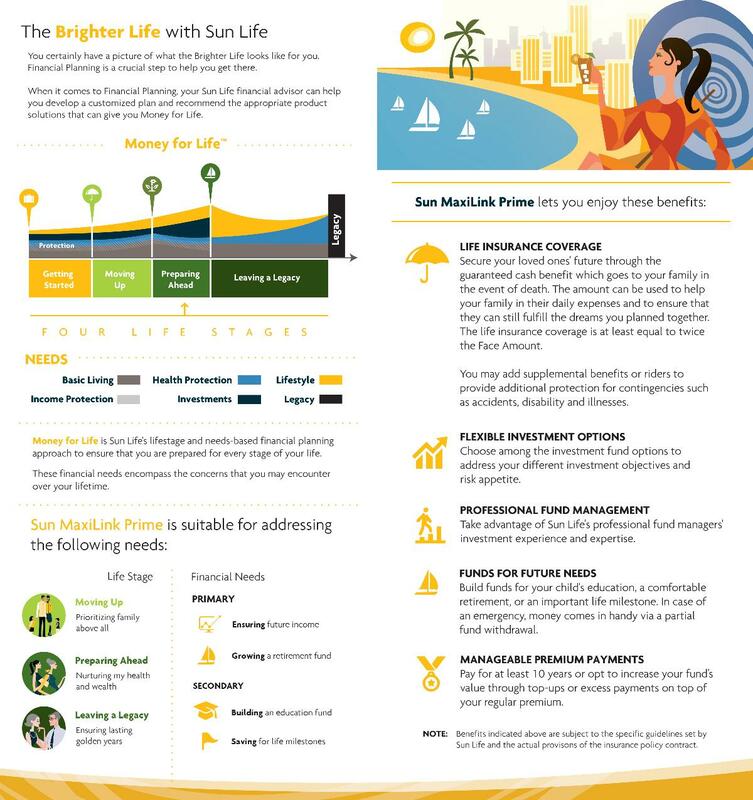 Additionally, if you become a financial advisor and join my team, Sun Life provides you with a Retirement Plan that you can enjoy when you reach your own golden years! Love travel? 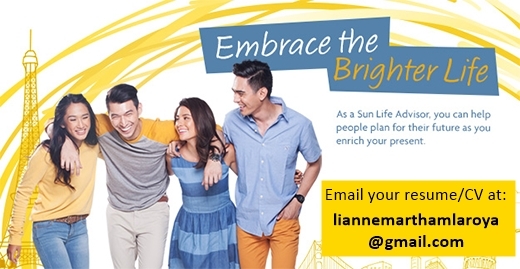 As a Sun Life financial advisor, you have the privilege to receive travel incentives locally and abroad. 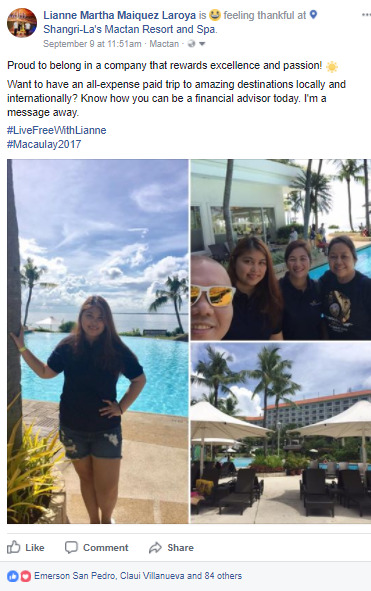 Subject: Lianne, I want to join your team! Why did my clients get Sun Maxilink Prime? This blog post is for you, if you're interested in getting a Sun Maxilink Prime plan for yourself and your family. -"Lianne, I've read your blog posts about "9 Investing Quotes that Inspire You to Invest Now" and I got hooked. I don't want to put my money in the bank only! Can you help me start investing today? I'm married with 3 children." - "Hi, do you know a plan with investment, life insurance and also can cover me until I'm old? I just want to pay for 10 years only but I'll be covered until I'm old." - "I want to invest in the stock market but I'm still a beginner. Help! Can I just let pros handle it? I have a son; I'm a single mom." READ: VUL Philippines: Are VUL Plans Perfect For You? Yes, 9 out of 10 emails I get are about product inquiries. Because this means that more and more Filipinos are now becoming more aware that there are better places they can put their money in, instead of just letting it sleep in the bank! Let's ask them, shall we? "We chose to get VUL like Sun Maxilink Prime because working abroad is not secured and stable. Time will come that we need to go back to our home country to start a new living." "Our hard-earned money should be invested wisely to secure our future and retirement age. 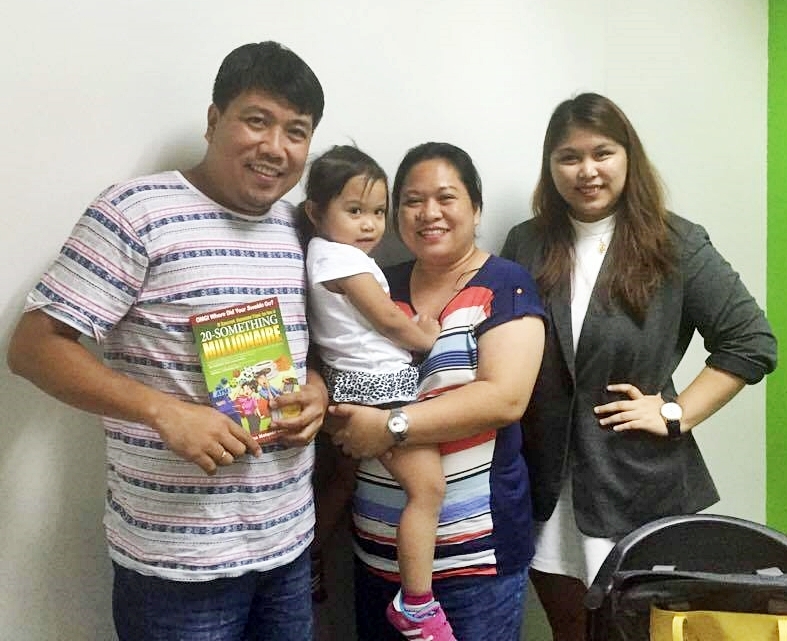 Choosing a VUL enables us to have life insurance plus investment plan for our family." "VUL has insurance and investment and since OFW kami ni hubby, especially my husband, we never know when kami kukunin ni Lord, lalo nasa dagat sya most of the time." "Our priority is always the safety and security of the future of our kids, and having VUL like Sun Maxilink Prime makes me feel protected and secured kahit ano mangyari samin, hindi mahihirapan mga maiiwan namin kung papaano palalakihin mga kids namin, if ever." "And if both of us are blessed to live longer until we are old, we also have retirement money to enjoy our remaining days and help our kids if they needed us.. 😊"
"I chose a VUL plan (like Sun Maxilink Prime) because it is both an investment and a life insurance product, meaning, you are protected. There is a death benefit attached to it aside from providing additional savings and investment options." "Even though fluctuations in the market can affect the value of the policy's investment component, the death benefit amount that goes to my beneficiaries is guaranteed and this give me peace of mind knowing that whatever happens in the market, funds will be available from this portion of the policy if needed." "Another reason is I want to diversify. I have another VUL plan with another insurance company, a health insurance, have set up my emergency fund, invested in stocks & mutual funds, built up my passive income and I believe it's high time to be protected and get another VUL plan from Sun Life. I want to ensure my child's future in case something happens to me and I am confident that with 3 insurance policies, my child will survive. 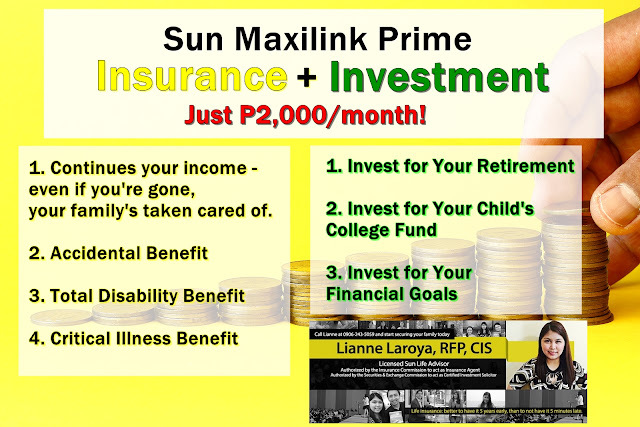 Thank you for that wonderful question 😂"
Sun Maxilink Prime is a good financial tool that can help you meet your financial goals. If you want to request for a FREE proposal, just fill out this form and I will contact you within 24 hours. Lianne, do we need to meet, after you send me my proposal? It's like this. Imagine you were talking to a doctor. You emailed the doctor, "Doc, here are my symptoms. Based on my symptoms & medical history, please email me the best medicine & treatment I need to take." So then your doctor emails you with a list of the best medicines to take and treatments to undergo. But you don't have any idea what they mean and what you should do, because you're not familiar with medical terms! So it's better to meet the doctor personally, right? This way, you can ask more questions and understand it easier. It's the same thing with financial planning. Yes, you filled out that form to request your free proposal. But the form's going to contain financial terms that you may not be familiar with - unless, your financial advisor explains them to you in simple and easier to understand terms. It's also easier to meet, so that you can ask me questions and we can address all of your concerns, don't you think? I want to meet you, Lianne, but I don't think we can, since I'm far/too busy. - The friends/clients I serve are based in Metro Manila, Laguna, Tagaytay, Batangas, Pampanga, Pangasinan, Tarlac and Rizal. - Since I'm a full-time financial advisor, my calendar consists of client meetings, so if you arrange to meet with me, I'm available to meet you. To date, my latest client meeting done was at 9 PM, but if you're only free around 10 PM, then why not? :) Let's meet! - Contrary to popular beliefs, when you meet a financial advisor, you have NO obligation to get a product yet, if you don't think it's helpful. That's fine with me. But, if after the meeting, you get enlightened and realize how amazing and helpful it is, then you're free to go ahead and start it right away. That's fine with me, too. As a financial advisor, my goal in meeting you is to let you understand and make you realize how important it is to finally reach your financial goals. You want to achieve a sizable retirement fund when you get older - I'll help you get started. You want to invest for your child's college fund? Fill out this form and I can help you prepare for it. The direct translation of this is: "Please lend me some money." But in the Filipino culture, it's an entirely different translation, which is usually: "Please give me some money." And for my OFW family members, friends, and even clients, this phrase is something that they're all too familiar with. 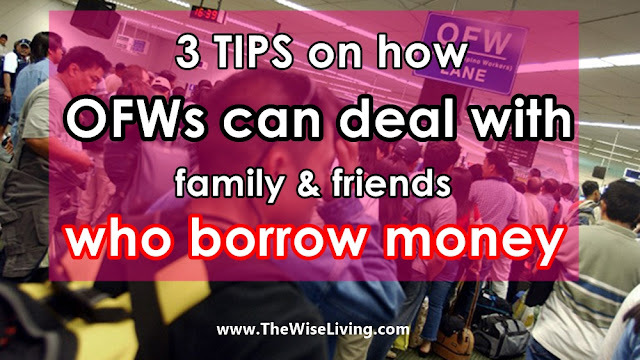 Sa atin kasi, pautang = pahingi (most of the time) so I advise my OFW family members, friends and clients that every time they lend money to someone, don't expect that the money will come back. In dealing with the "Pautang cycle" that is too deeply ingrained in our culture, you need to be as objective as much as possible. If you let your "awa" and guilt dictate the way you handle your finances, you may end up destroying the financial foundation that you've been trying hard to build in the first place. - buy his motorcycle, etc? Do you already have an SSS number? You should. It has several benefits that not every Pinoy is familiar with. When I asked my friends and family members what they think they'll get from their SSS plan, their two most common answers were SSS Loan and Pension for their retirement years. You can actually get three MORE! Hindi lang dalawa ang makukuha mo sa SSS plan mo. Being an SSS member entitles you to sickness benefits, maternity benefit and disability benefit as well. Every time I speak at the Financial Fitness Forum, I feel like I'm having a concert with all my favorite celebrities. Yes. It's an honor and I'm incredibly thankful for it. But it's also a nerve-wracking event because it's not everyday you meet your idols in person and be expected to contribute something significant to the event. 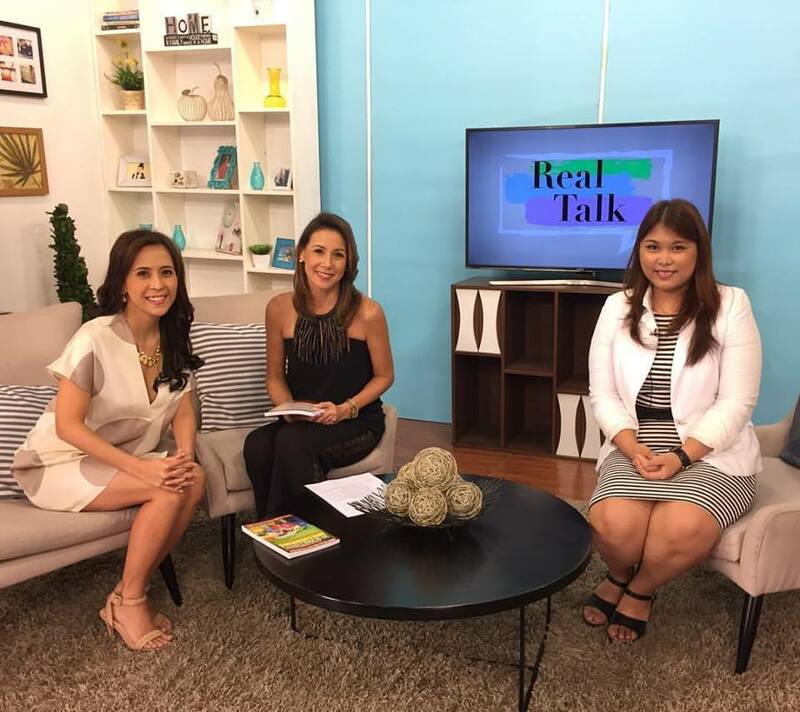 Did you go to the Financial Fitness Forum 2017 event last March 25? If not, this blog post is for you.